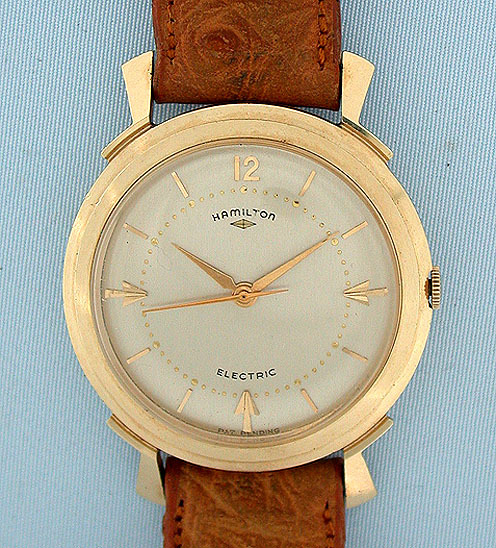 Fine Hamilton Van Horn 14K gold vintage wrist watch circa 1957, the first Hamilton electric wrist watch in particularly fine condition. 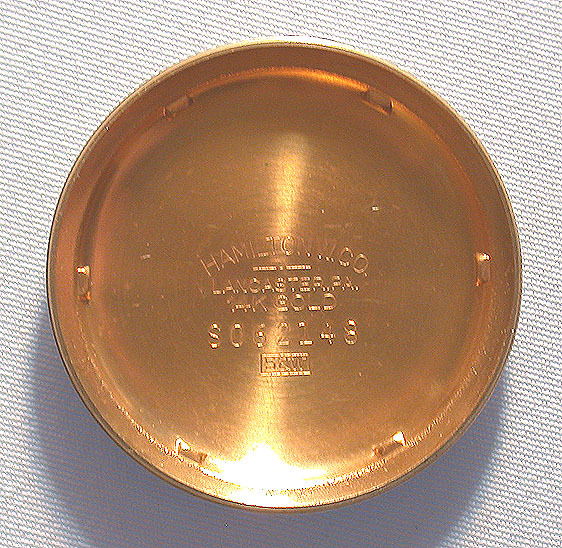 Original silver dial with gold applied numerals and markers and gold hands. 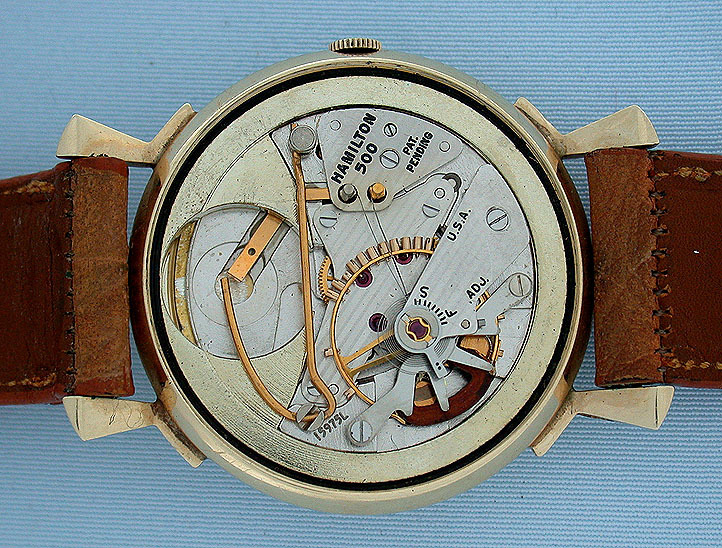 The case with stepped bezel and fancy downward sloping lugs. calibre 500 movement. 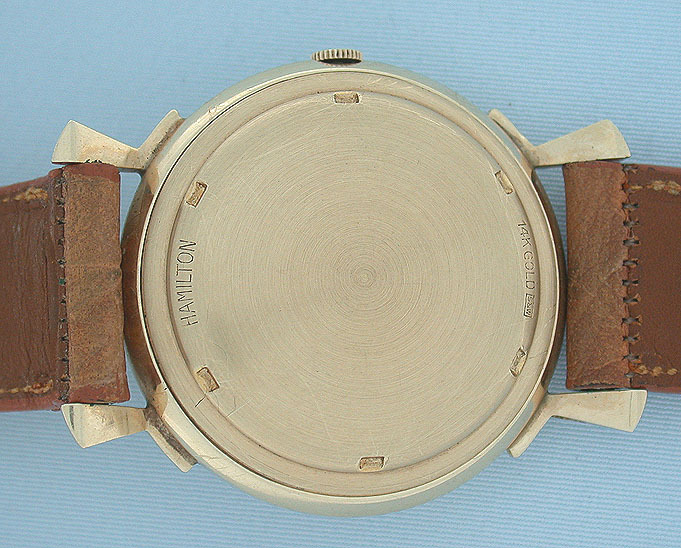 With original band and original gold buckle.